I chanced upon this article whilst browsing Facebook yesterday. It’s a bit lengthy but a beneficial one insha’Allah. I felt like as though this article was meant for me to read and reflect upon. Ever since I came back, there was this spiritual void which dwelled inside. Irritated, and especially agitated, I did not know how to fill this void. I had spent days crying and was at my lowest end. Worse, I had even started the ‘mourning’ period a month before I was back. Two weeks ago, I had packed all of my things and came back to my country permanently. Most people would be excited to return to the familiar faces and place. I was, however, half hearted to be back as I had spent so many years abroad that I felt like a foreigner in my own home. I had wondered why this emptiness within persists but I understand now that it had been due to my strong attachments to the Dunya. Material goods, places, status and even people are part of the Dunya that Sr Yasmin had discussed in her other lecture called “Overcoming sadness and depression”. She described the creation of Allah as being beautiful from far away but when you become too close to it, it hurts you. She used the analogy of the sun being beautiful from far but burns you when it gets too close. Another analogy is the clouds as being beautiful but disappears when you get into it just like a mirage. How profound! My attachments had mainly been the people I was closest to. Being away from family, friends were the substitute. I had close relationships with the older sisters who treated me like their own daughter and little sister. Most of my time had been spent with them – from school or at the office to sleepovers and meals together – they were always around 24/7. I was especially close to a sister there and I was crushed when it was time to leave. Reality started to creep in later as there is little or no possibility of seeing each other again . How do you reconcile with that when my life had revolved a lot around her? Returning home felt like I was leaving a huge part of me behind and that was the hardest to come to terms with. People have said ‘you’re born in Sgp, you’ll get used to it’; ‘shouldn’t be that difficult to adapt’. But until they walk a mile in my shoes, they will never be able to fathom what I was and still going through. 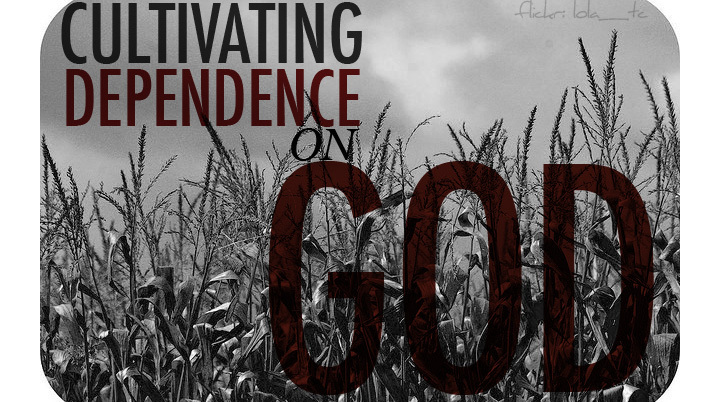 I realised that our dependence should be on Allah aza wa jal alone. Anything or anyone who has a big place in our heart , chances are we will get hurt in the future when they leave us. They will leave us eventually either due to worldly affairs or death. What happens when they leave? How do we cope then with loss if we are too dependent on them? Subhan’Allah.. If you find that there is something of this Dunya that you depend on or as a source of happiness in your life, then trust that a day will come where you will get hurt. Humans are social creatures and we cannot deny the need to interact constantly and love but the only one who should have a big place in our hearts should be no other than Him alone. Allah knows best our affairs! Masha’Allah, I’m mesmerized by the recitation of this young Qari! “Allahumma ya Muqallib Al-Quloob thabbit qalbi ‘alaa Deenik"